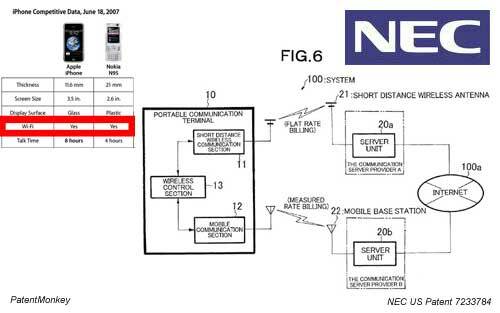 The USPTO has awarded NEC a patent on their technology for smart file downloads. The technology has been designed for phones with built-in wifi radios – allowing them to connect to any wireless access point. The idea is to have the phone decide, on its own, whether to download a file over-the-air via cellular networks or through a wifi network wireless access point. Apparently, the tech is capable of determining which of the two networks — WiFi or cellular — would be best suited for downloading a particular file considering cost and speed. Via: Into Mobile.